Bluegrass Parkway are currently celebrating their 20th anniversary and are the longest continuously performing bluegrass band in Australia. This landmark in Australian bluegrass history has seen the band play at most major and minor folk and country festivals throughout Australia, New Zealand and most recently, a series of bluegrass festivals in the United States. 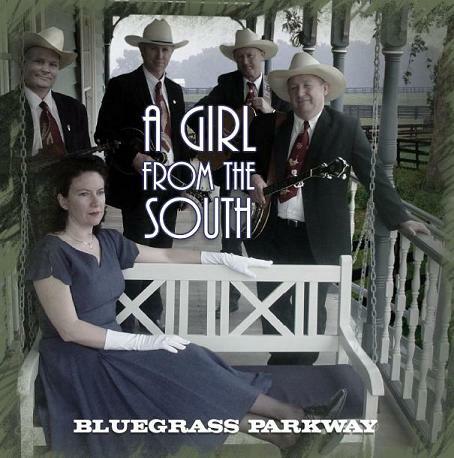 Bluegrass Parkway have released their latest CD – ‘A Girl From The South’ . The album features an original song from Paul about Maria’s experience in moving from Kentucky (the ‘South’) to Australia, the Great ‘South’ Land. The CD also introduces their former guitarist Guy Paris back into the fold. Guy played with the band in mid 90’s. CD’s are available by way of snail mail. If you would like a copy please send a cheque or money order for AU$30 (includes postage) to: Paul Duff , 2 Hope Road, Palmyra 6157, Western Australia.